Looking forward to a long campaign, the insurgent veered out of Iowa and New Hampshire for a day in Minnesota. Watching the cable news shows, reading the national papers, and even following social media, you would think that the 2016 presidential campaign will begin in Iowa and end in New Hampshire. This message is reinforced at every turn by pollsters, pundits, commentators, consultants, and, for the most part, candidates. But the contests for the 2016 nominations of the Republican and Democratic parties are not going to be finished on February 1 in Iowa or February 9 in New Hampshire. Iowa’s caucuses begin a process that will select 46 pledged delegates to the Democratic National Convention. New Hampshire’s primary will select 24 pledged delegates. In a nomination contest will be decided by 4,764 Democratic delegates, these two states account for less than 2 percent of the total. 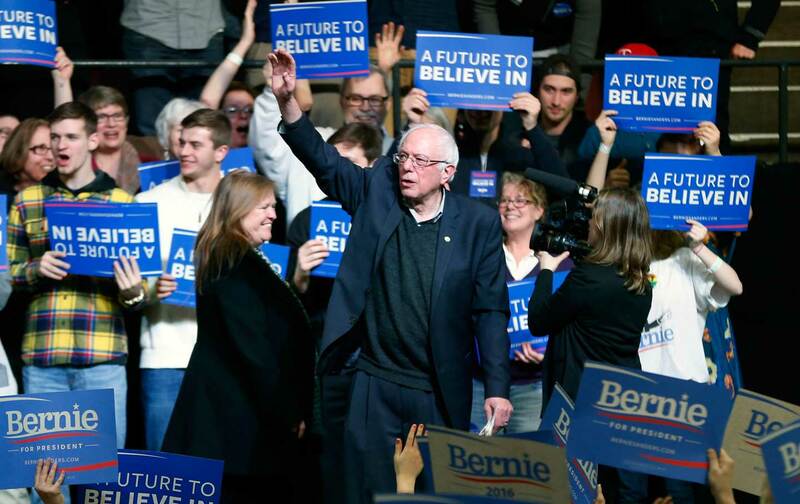 That is why, though most media outlets paid little attention to the story, Bernie Sanders was not in Davenport or Dubuque on the Tuesday before the Iowa caucuses. He was in Duluth. Sanders and Clinton are preparing for a long-haul campaign. Duluth, up in northern Minnesota, on the western shore of Lake Superior, not far from the Iron Range where the late Senator Paul Wellstone found some of his first and most passionate supporters. This is the political reality of the evolving 2016 race: while the focus now is on Iowa and New Hampshire (and to a lesser extent on later February contests in Nevada and South Carolina), the road to the convention travels through every state and district, commonwealth and territory. And with polls suggesting that the Democratic race has grown more competitive, front-runner Hillary Clinton and Sanders are both adjusting to the prospects of a longer-haul competition. When and where this contest will finish remains to be seen. It still could be decided quickly, if one candidate posts a steady streak of early wins. But Sanders is counting on a long run. He just proposed that the Democratic National Committee schedule new debates in March, April, and May. Hillary Clinton and her supporters will have something to say about that. Clinton campaigned in Minnesota last month, delivering a major speech on combating terror at the University of Minnesota. She drew loud cheers there, especially when she delivered the line, “If you are too dangerous to fly, you are too dangerous to buy a gun—period.” The former secretary of state is backed by Minnesota Governor Mark Dayton and Senators Amy Klobuchar and Al Franken, and she’s still well ahead in the polls. And her aides say she will be back to Minnesota soon. But Sanders was not talking much about Clinton Tuesday. His focus was on the Republican front-runner.